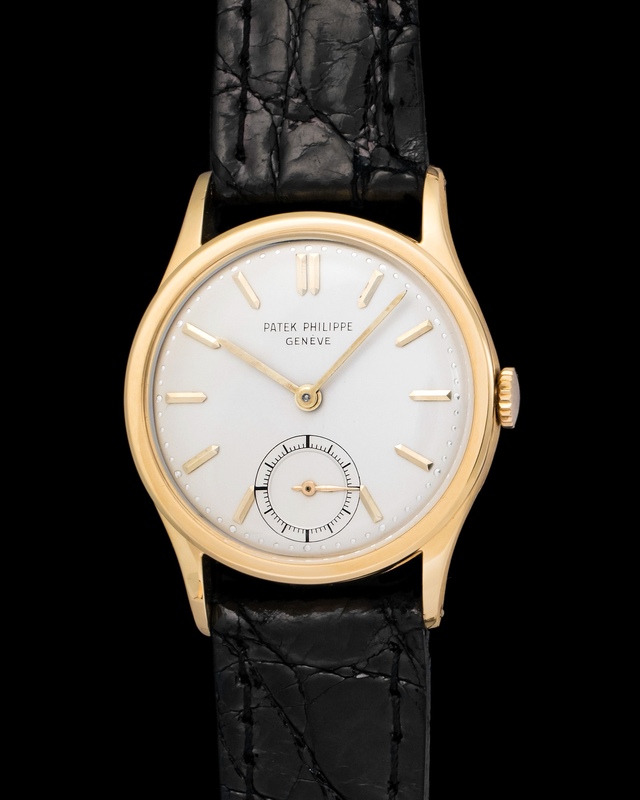 Vintage Patek Philippe reference 2532 manufactured in 1950 and fitted with a rare tritium dial and cased in a pink gold case. 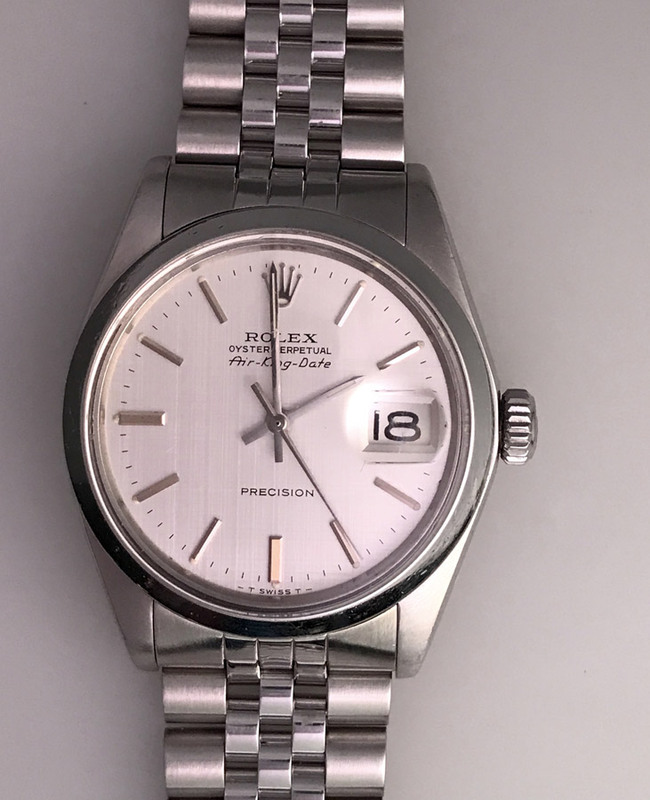 This watch is in top condition and is powered by a manual movement. 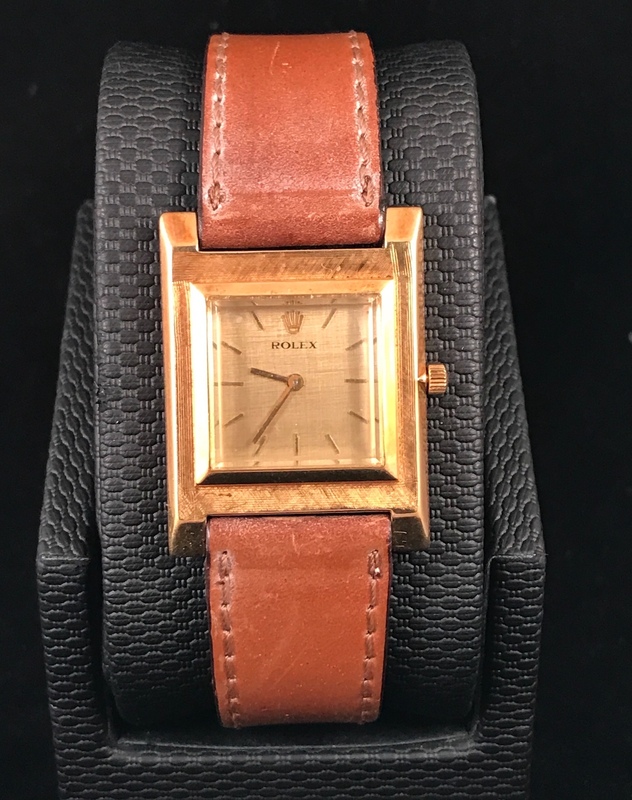 Put together by a pink gold bracelet. 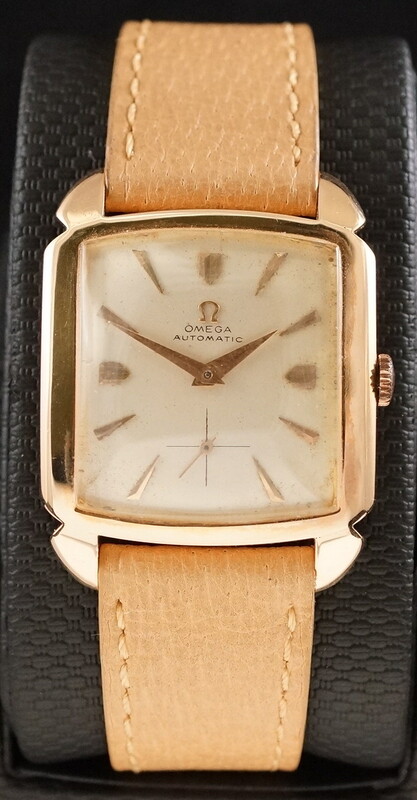 very nice unusual small Mondia with oversize strange lugs , cute. 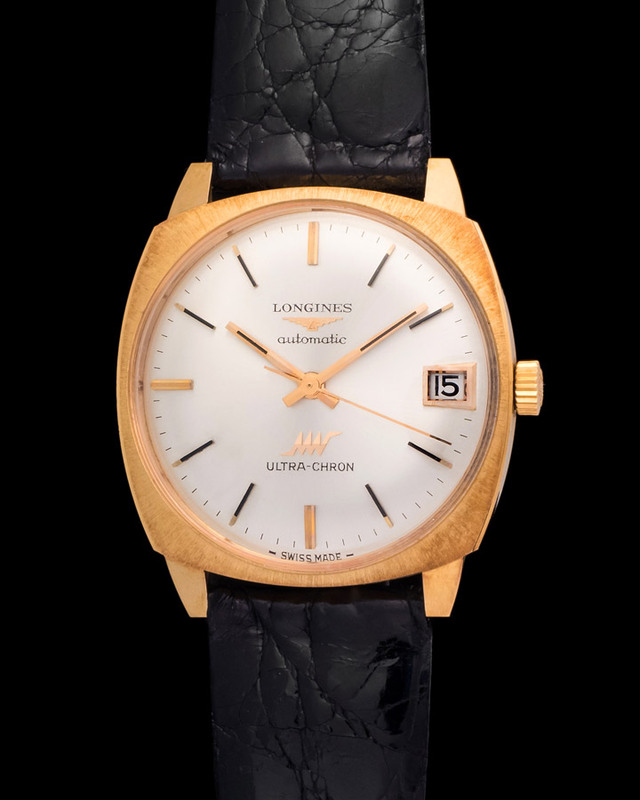 Super cool vintage look for this nice Eterna matic Kontiki 20, all in original conditions, fantastic dark yellow dial , still with the original paper, comes with a gay frere original branded bracelet. 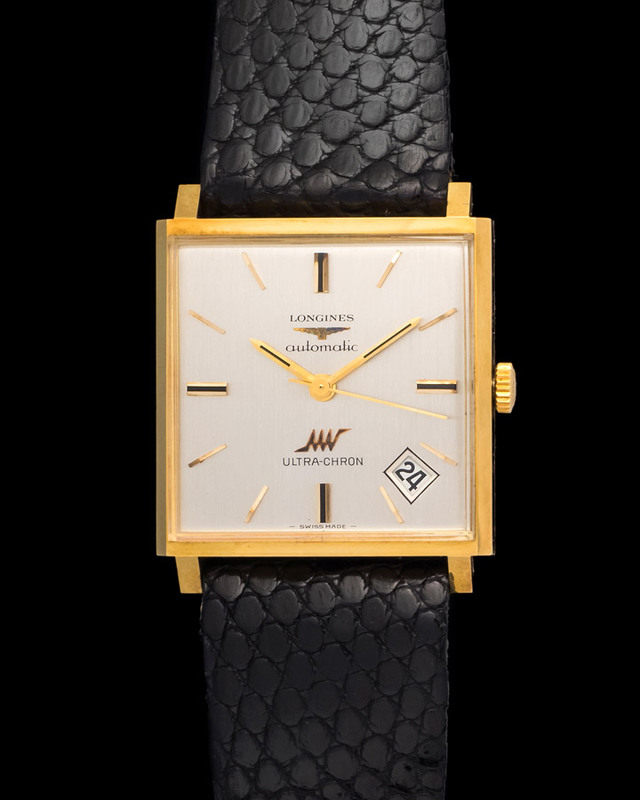 Although Eberhard is known for its superb chronographs they also created some incredible time only watches, such as this one. 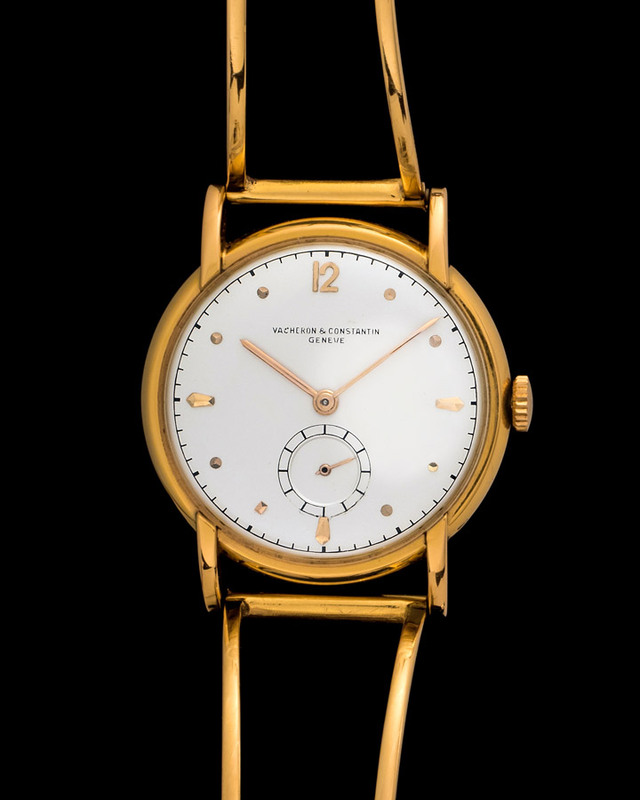 The reference 379 cased in pink gold, fitted with large Arabic numeral dial, and accompanied by a crisp caseback clearly depicting the Eberhard brand name and serial number. 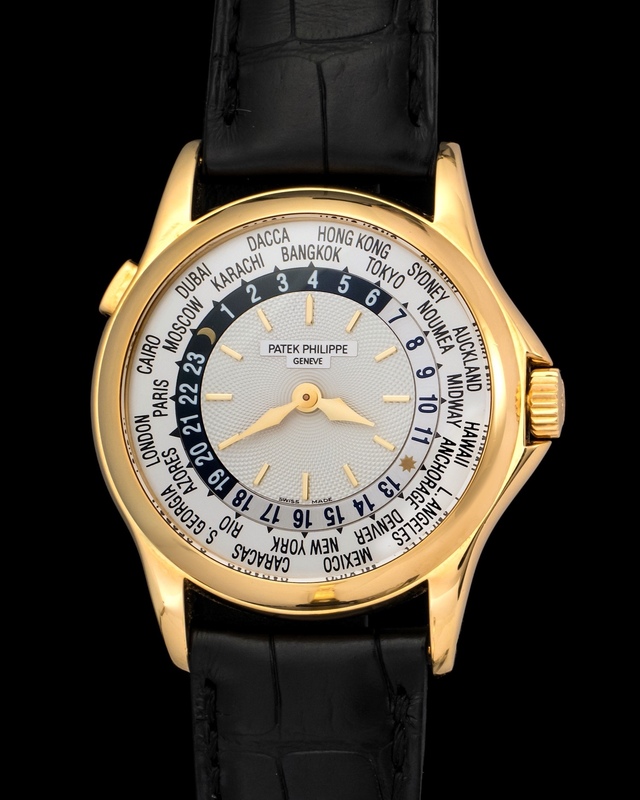 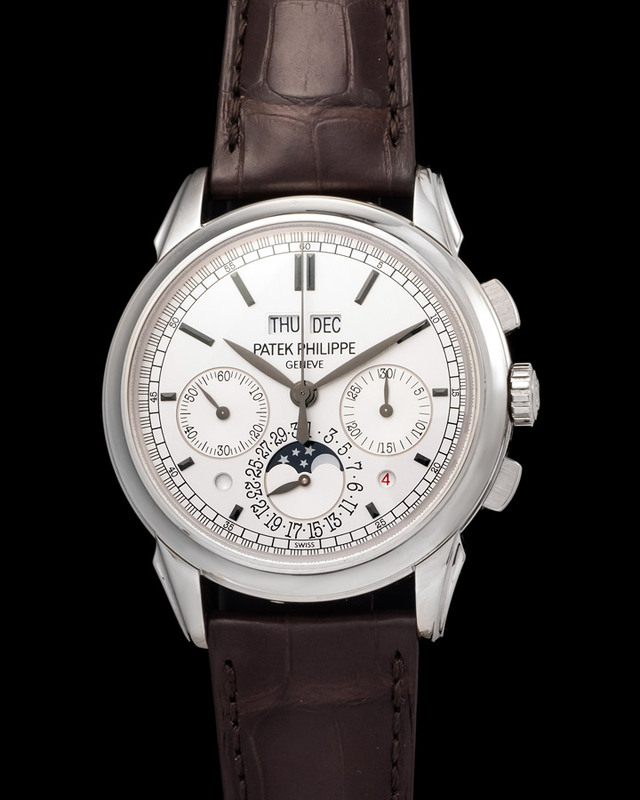 Pristine preowned mens Patek Philippe World Time in solid Yellow gold comes complete with its papers(including its Patek folder, booklets, and Certificate of Origin). 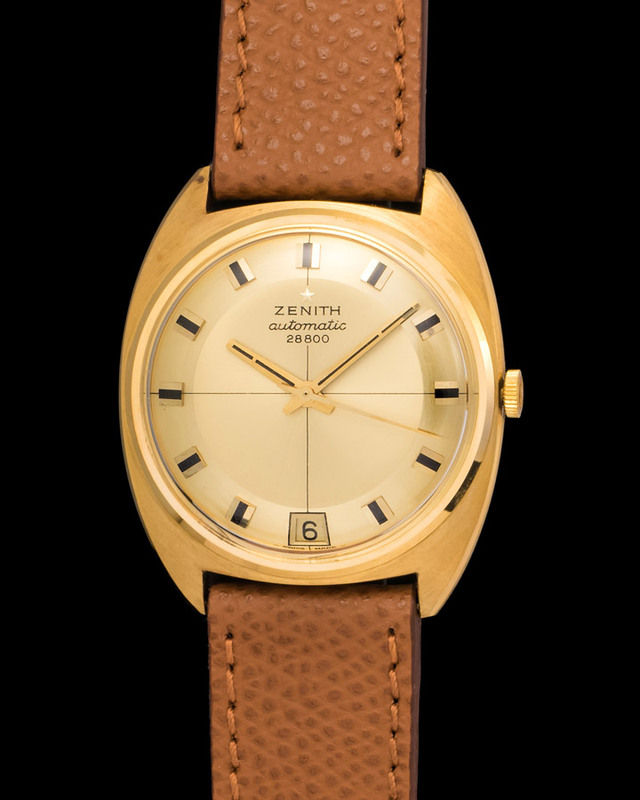 Zenith is almost synonymous with the automatic movement and the tool watch. 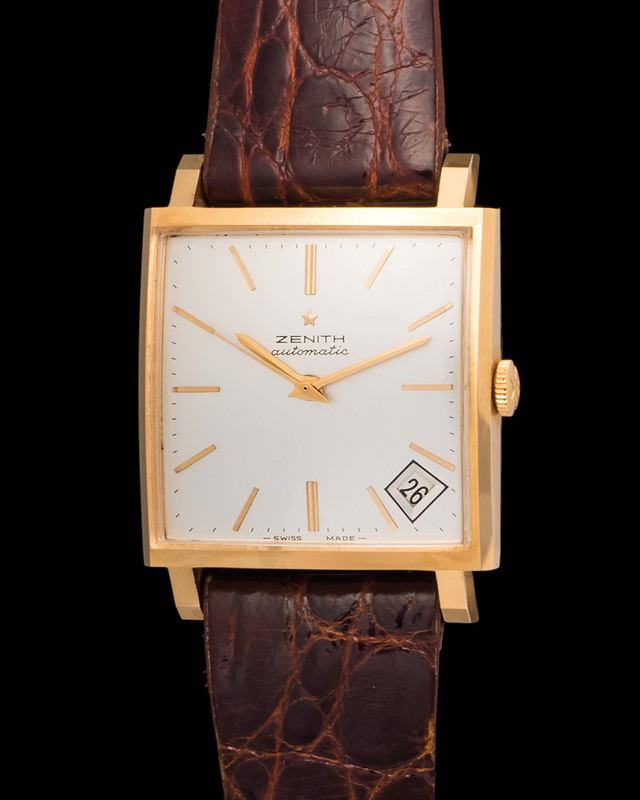 Having a Zenith dress watch powered by their famed movement is really cool and different from what the company was doing at the time. 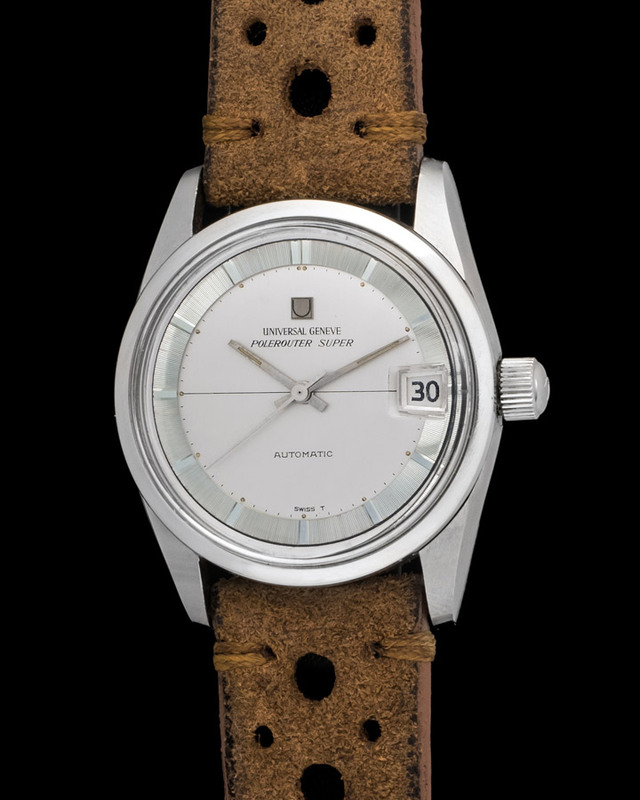 New old stock example of Zenith chronometer so called "Stellina" , argentee dial , case it's new ,dial is 101% , amazing conditions, come with the original logo buckle. 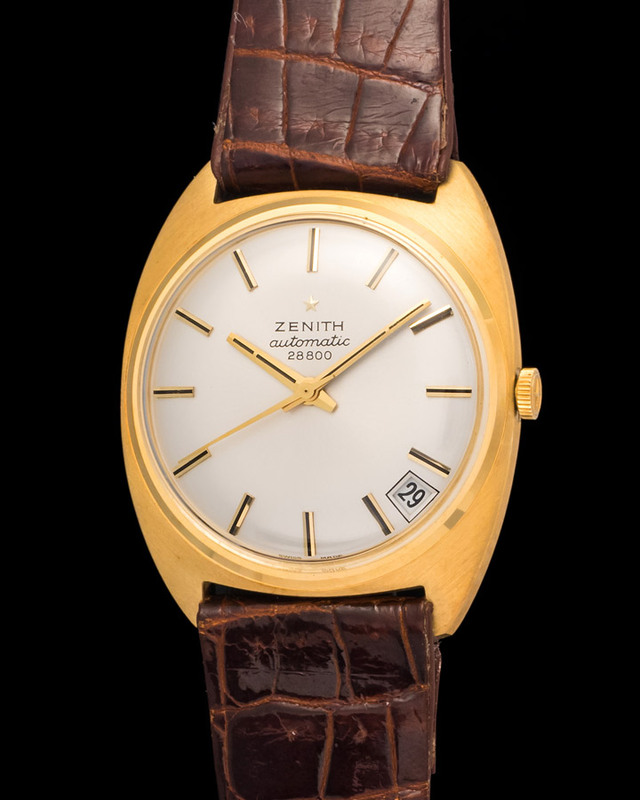 Unused Zenith Automatic 28800 in 18kt gold, powered by 2562c, watch is new with still the wax sticker in the back, comes with the original logo buckle . 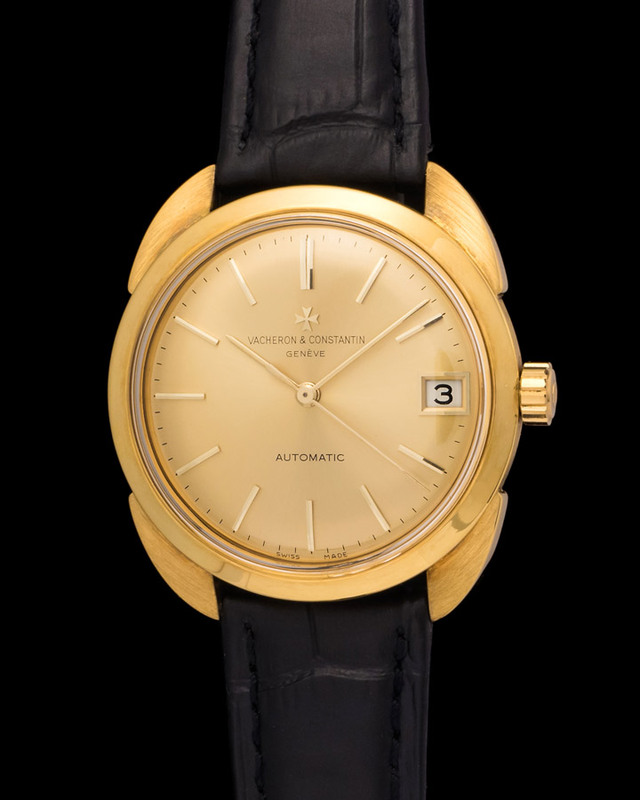 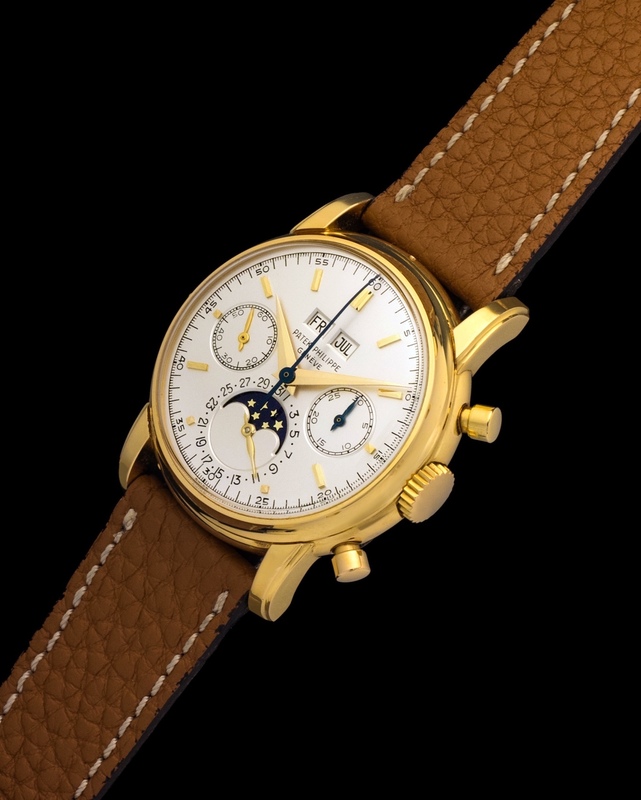 Better than a Zenith automatic dress watch cased in 18k yellow gold is one in absolute mint condition. 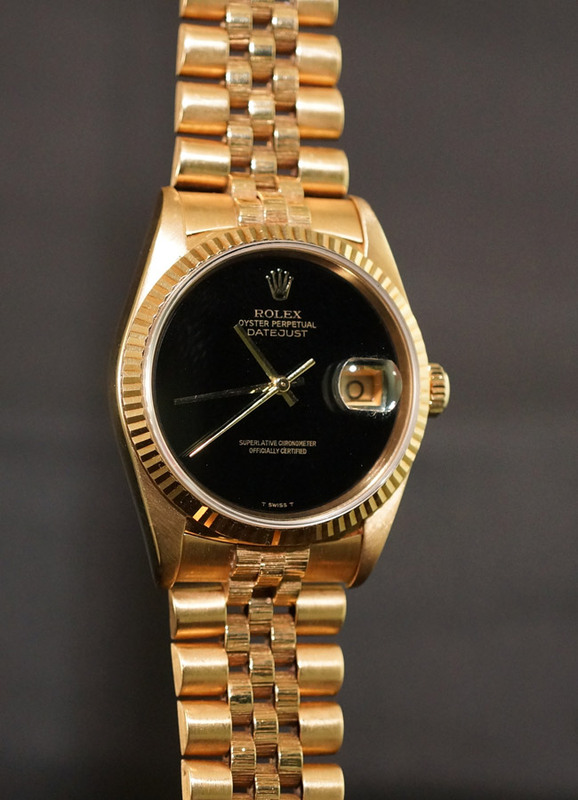 One just like this one. 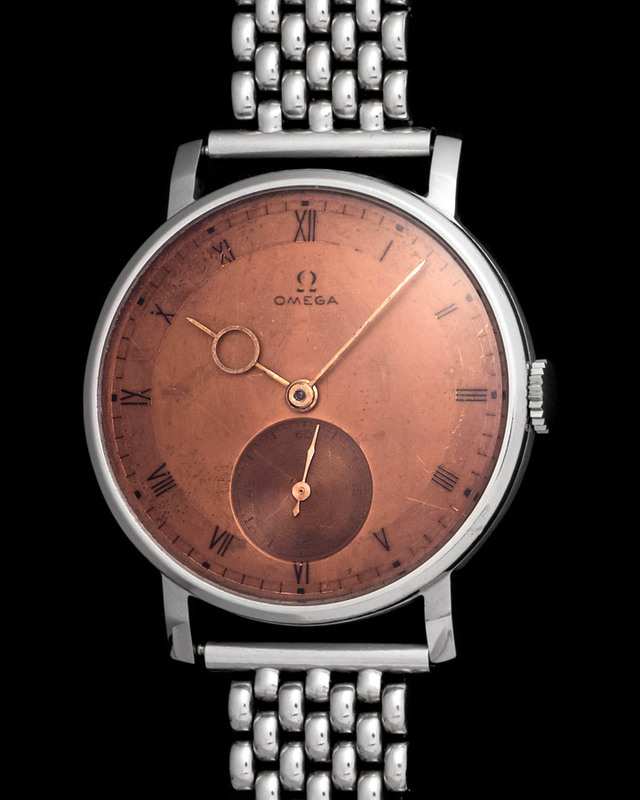 The automatic movement is only made better by the stunning condition of the case. 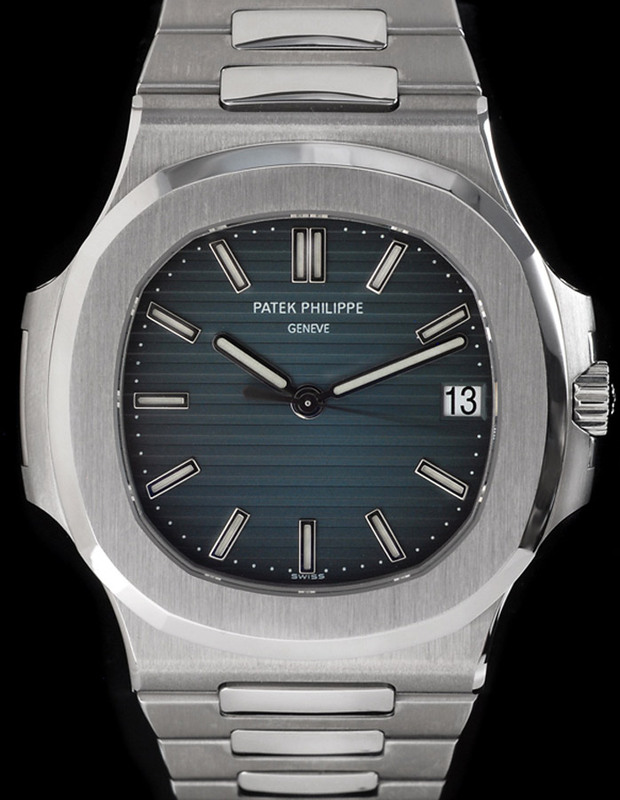 Notice the original blue coating on the caseback. 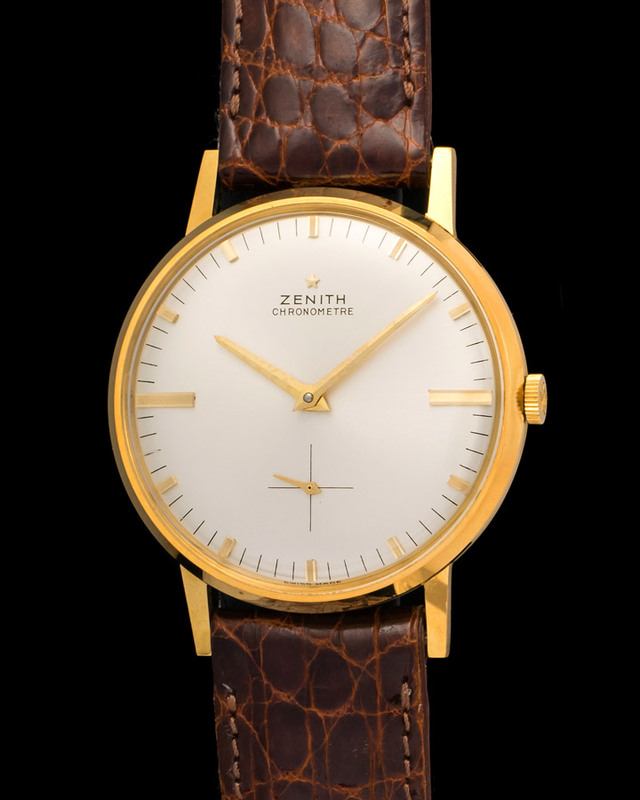 Zenith center seconds automatic watch in top condition cased in 18k yellow gold. 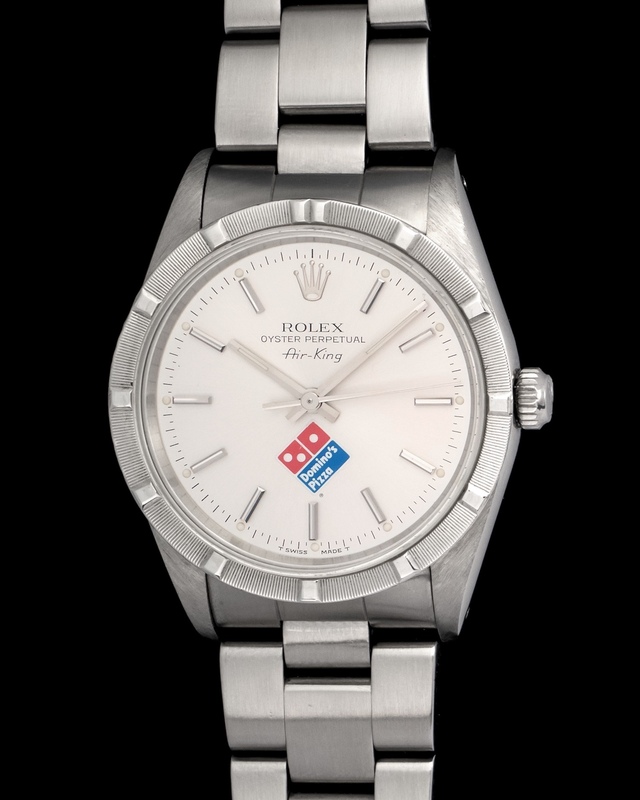 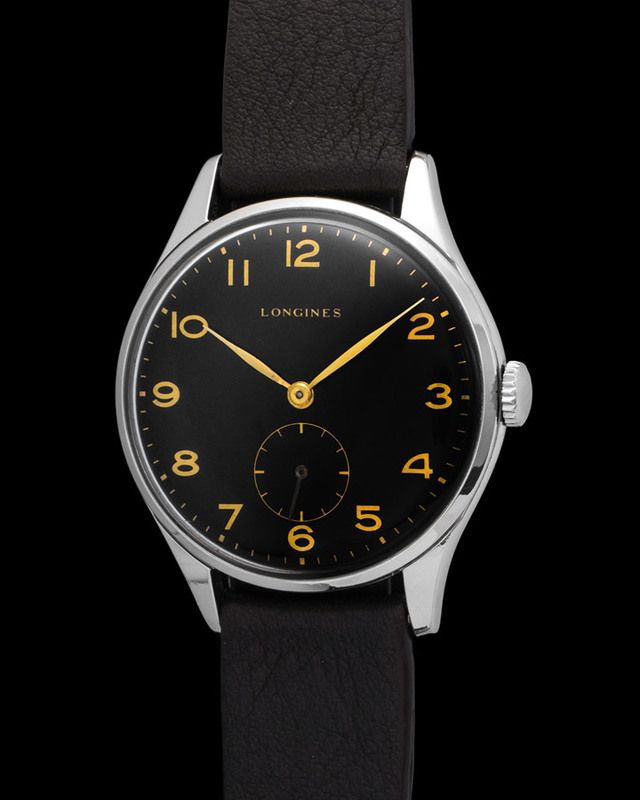 The case diameter of this watch is 34mm, which makes it an ideal dress watch. 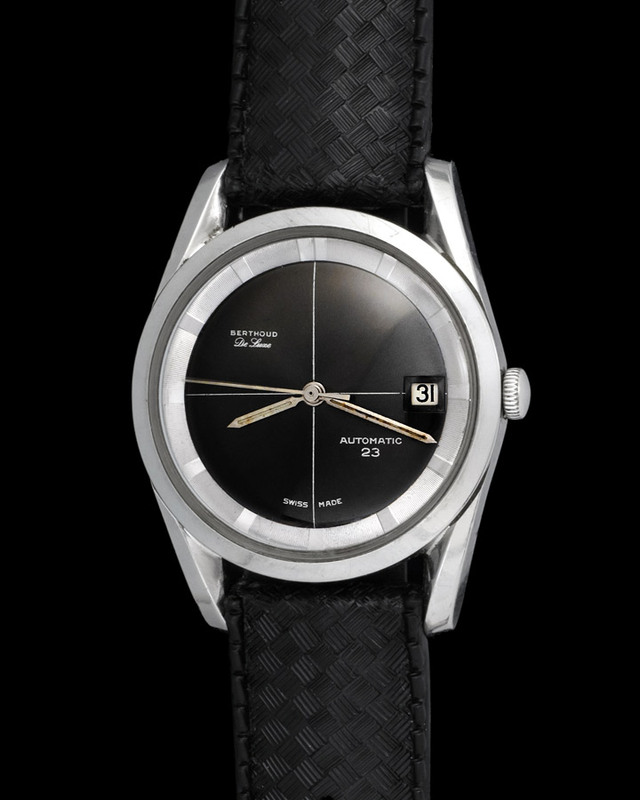 The never failing Zenith automatic movement is a top selling detail of the watch. 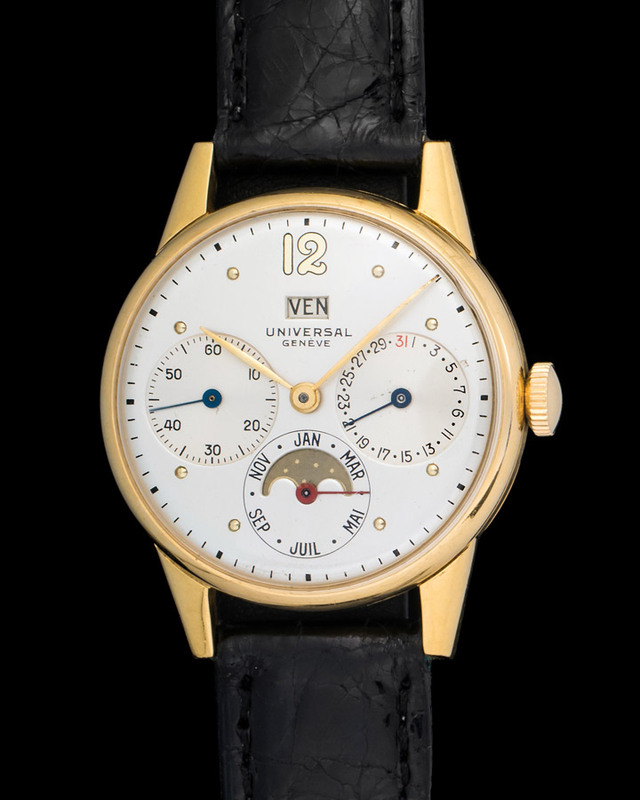 Unusual Polerouter same as Universal Genévé brended Berthoud, berthoud was the name of one of the founders of U.G., watch is in untuched conditions with an attractive black greenish dial, it's powered by the caliber Eta 2472 in good working conditions. 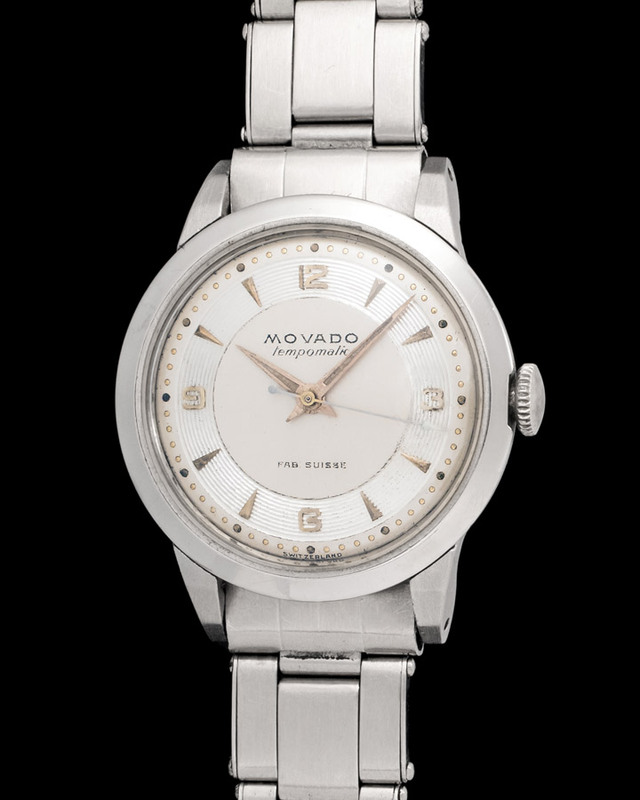 Vintage Movado's are fantastic watches and still undervalued, making them perfect collector items. 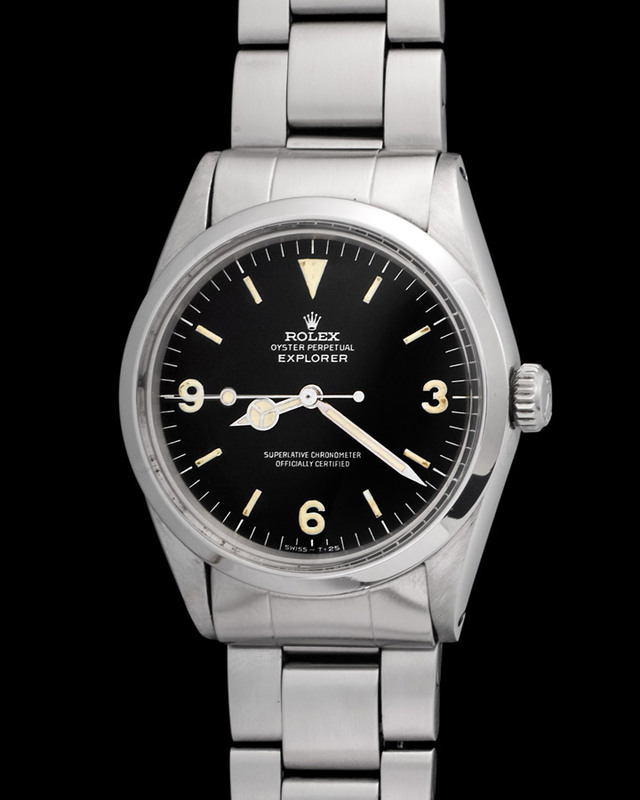 Ours is a 16159 cased in steel and powered by an automatic movement with a center seconds function. 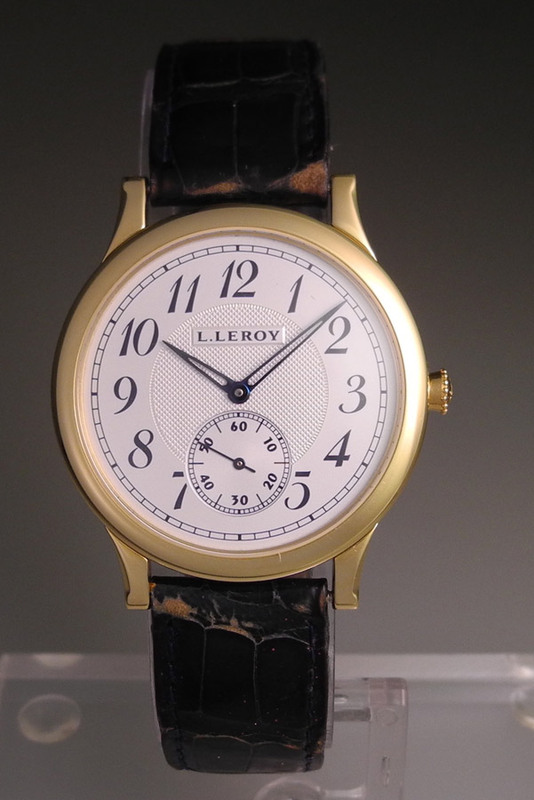 The case measures 34mm while the dial is adorned with beautiful Arabic numerals. 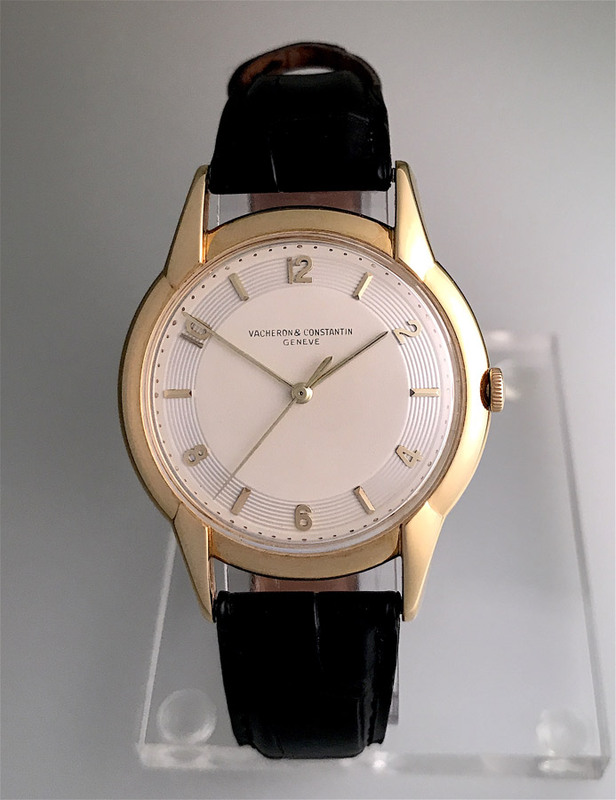 Vacheron Constantin dress watches are amongst the most elegant and reliable. 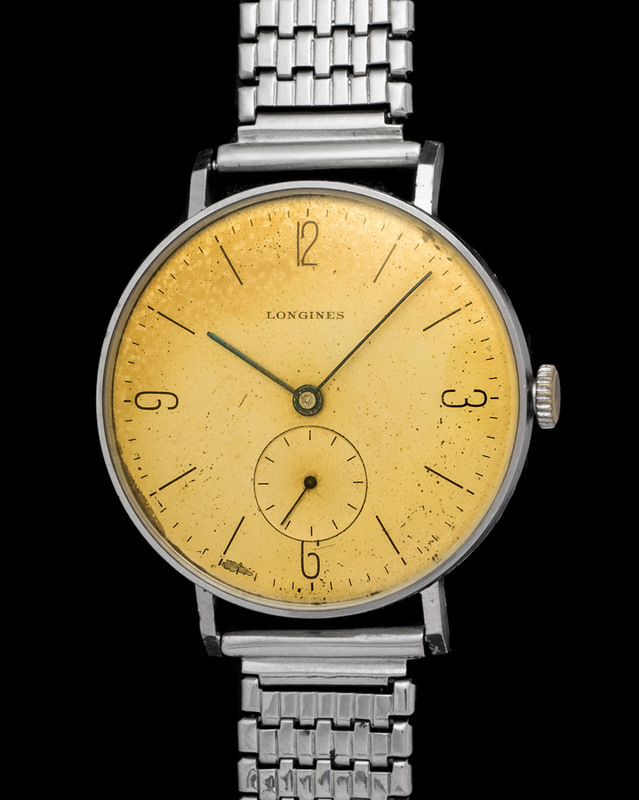 Their classic design like ours here was not easily replicated by its contemporaries. 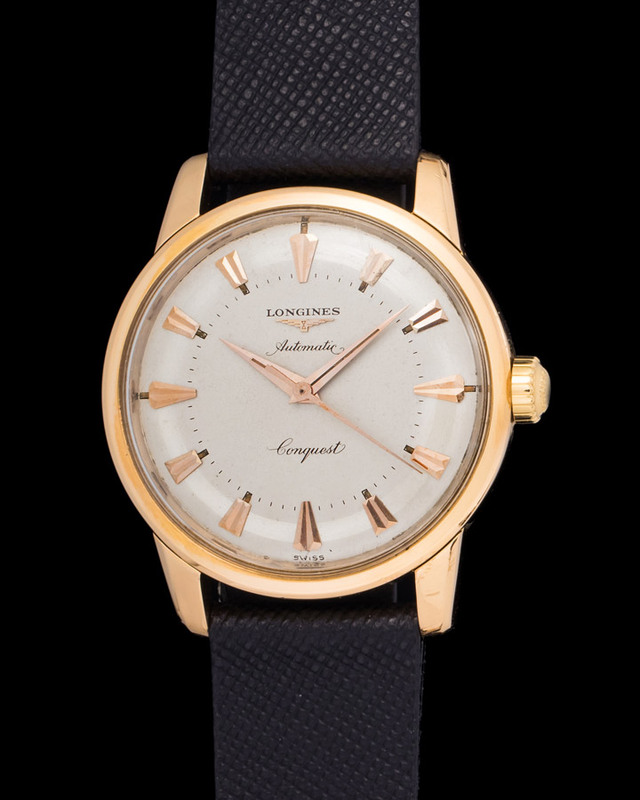 This watch hails from 1960 and is a solo tempo watch with a small seconds counter. 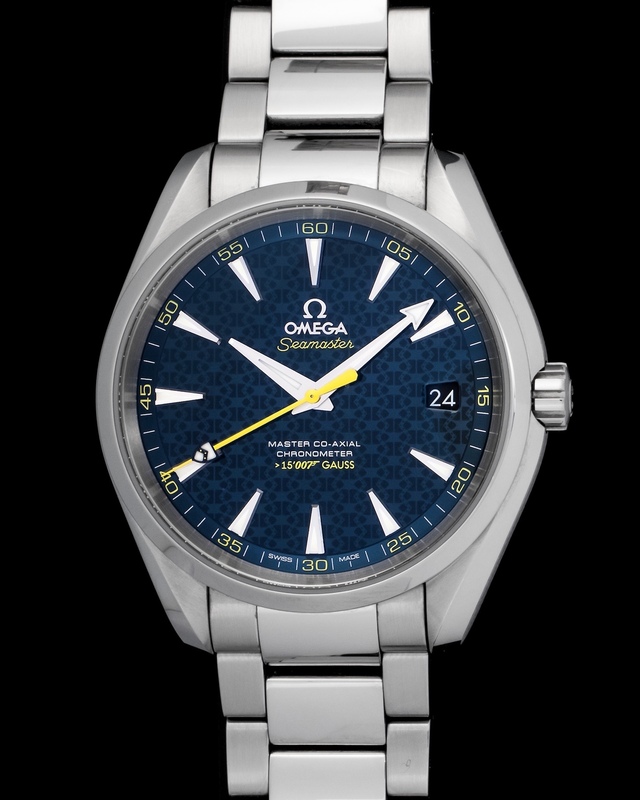 The case measures 34mm and is powered by a manual wound caliber. 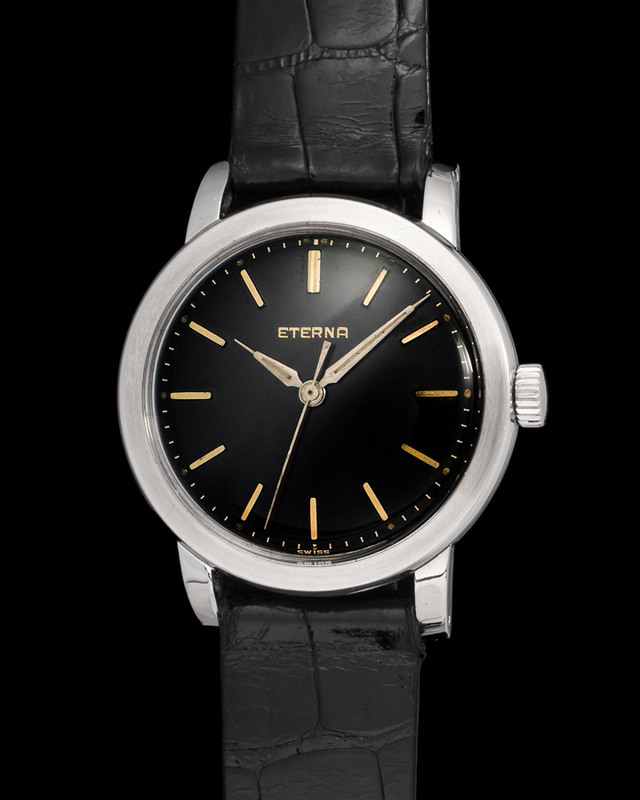 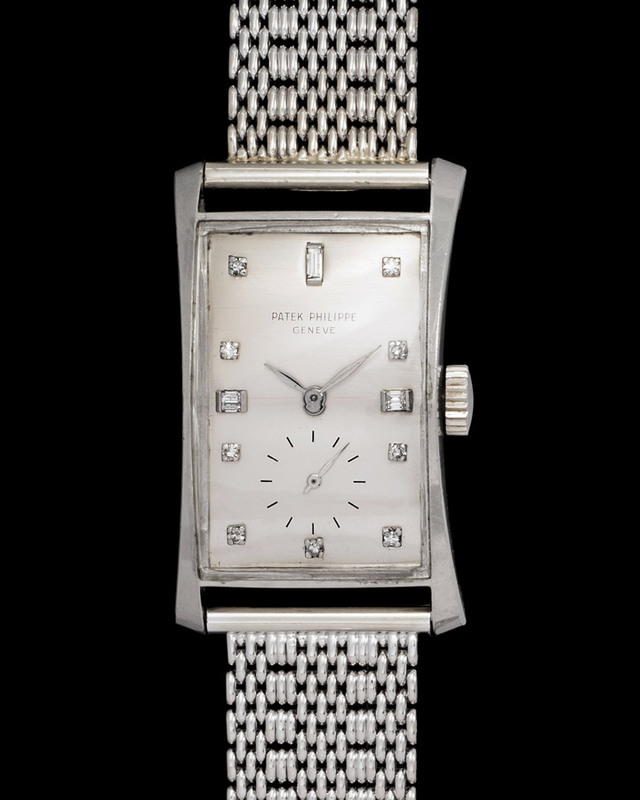 Eterna is one of those brands that is not given the proper attention it deserves. 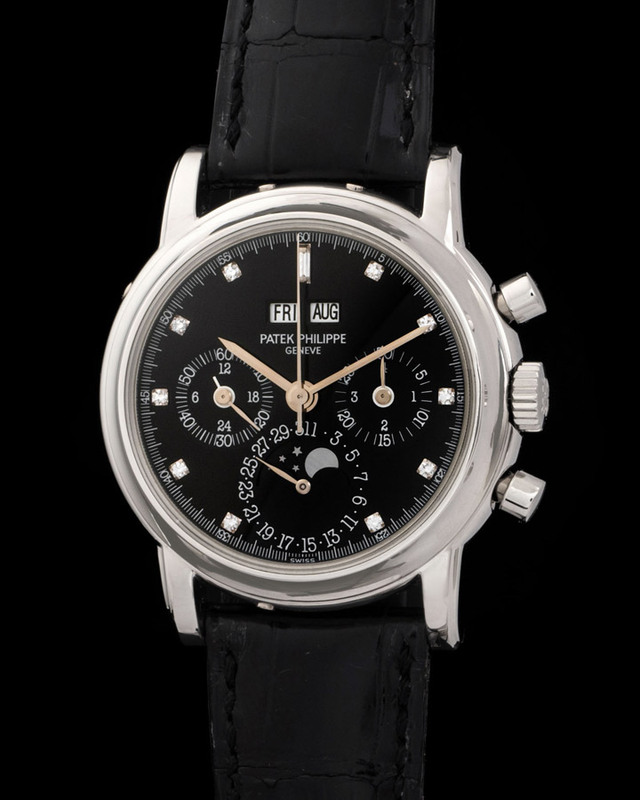 They are responsible for some of the nicest chronographs and solo tempo watches. 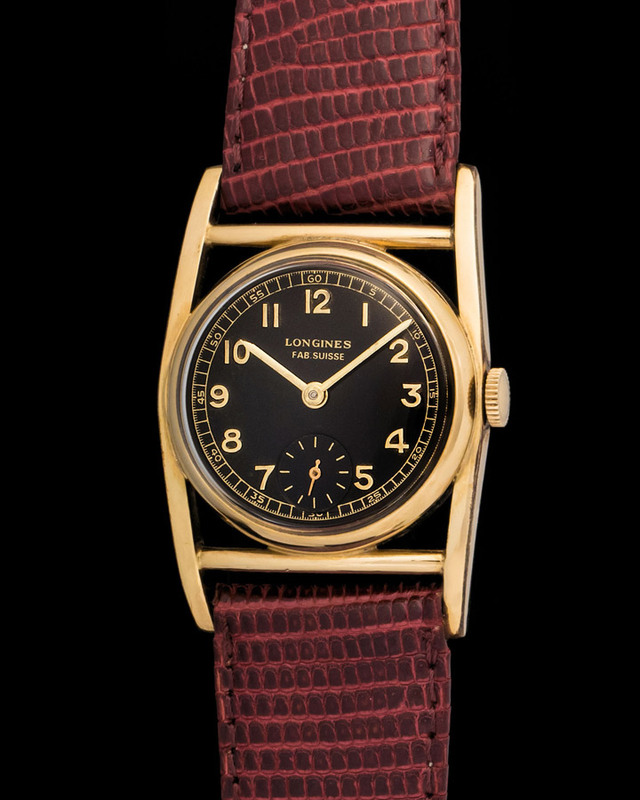 They also made some incredible military watches. 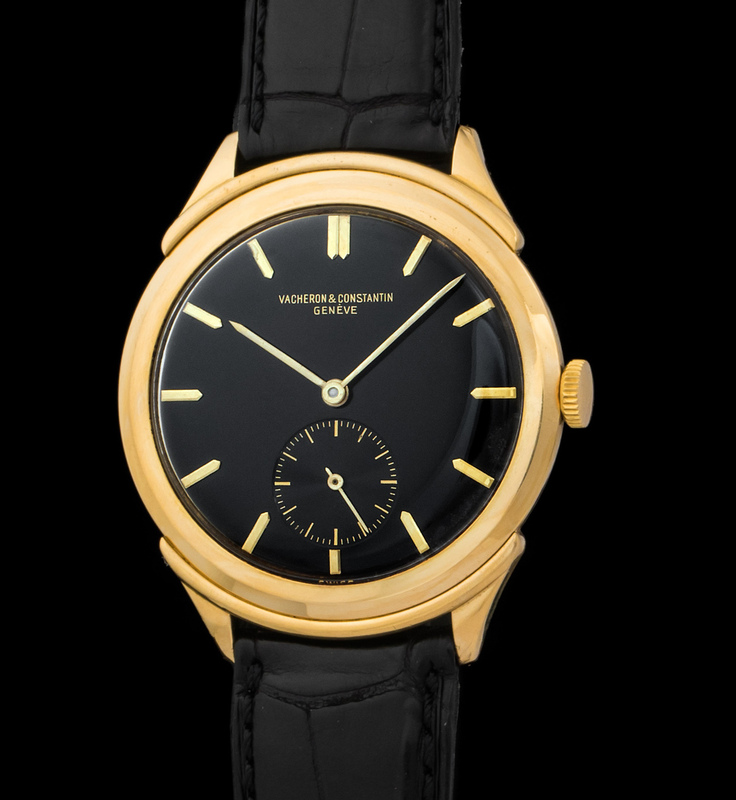 Here we have a solo tempo Eterna fitted with a spectacular gilt dial and manual caliber. 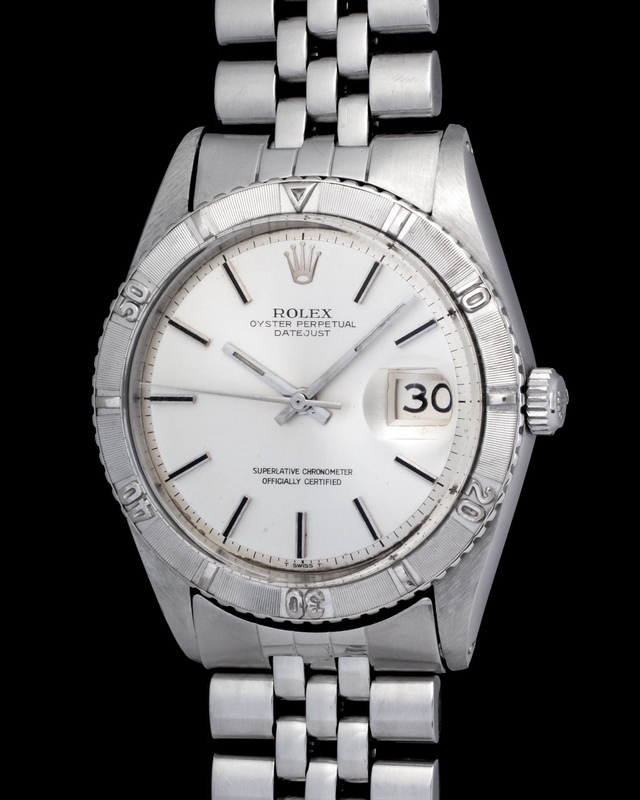 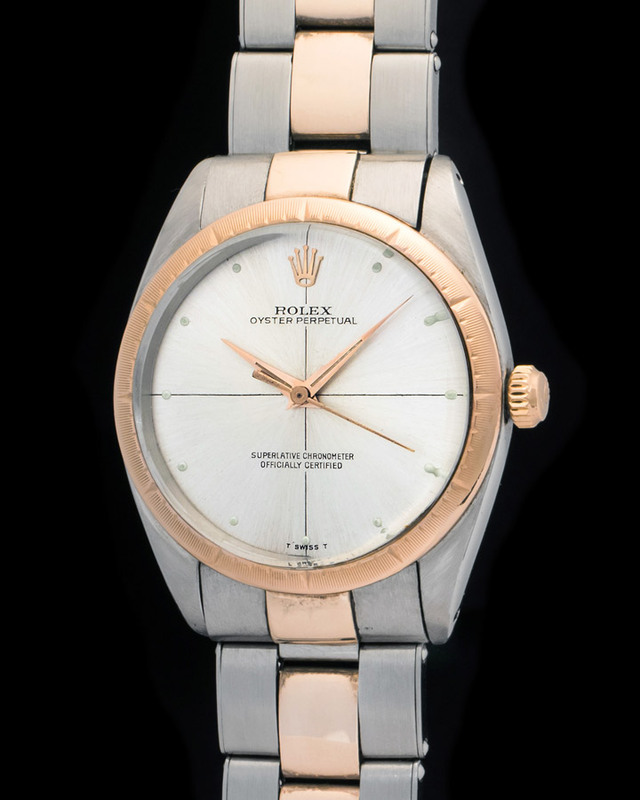 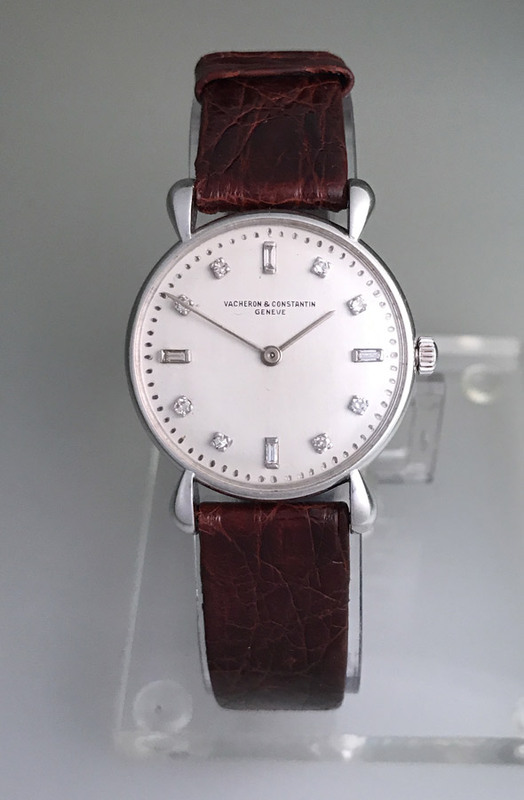 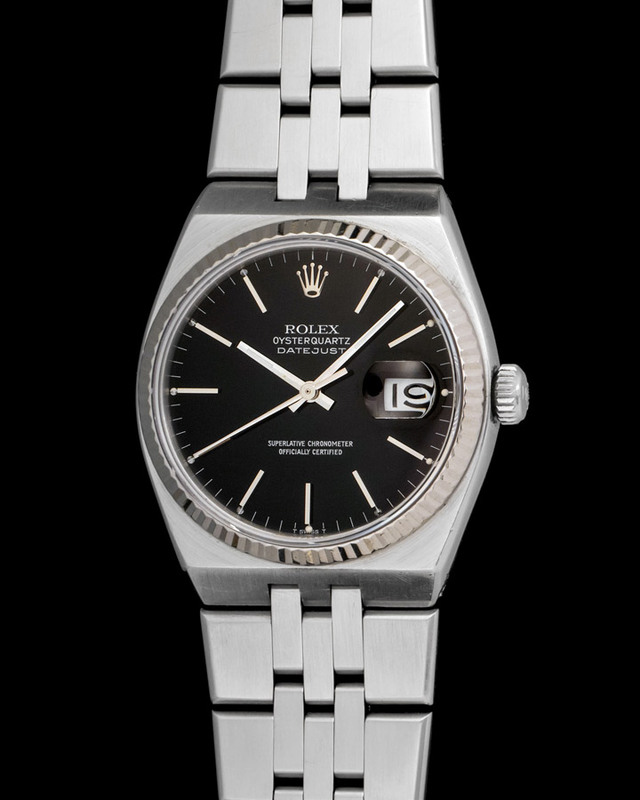 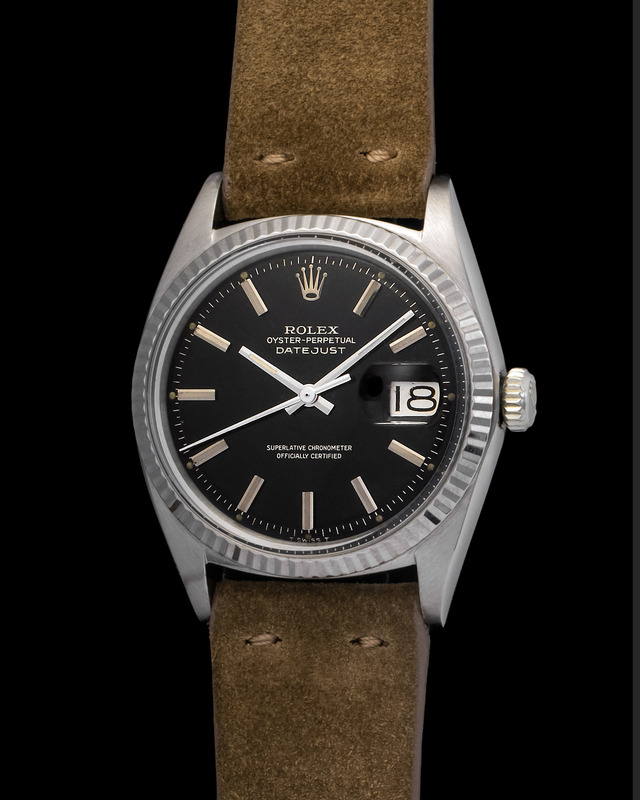 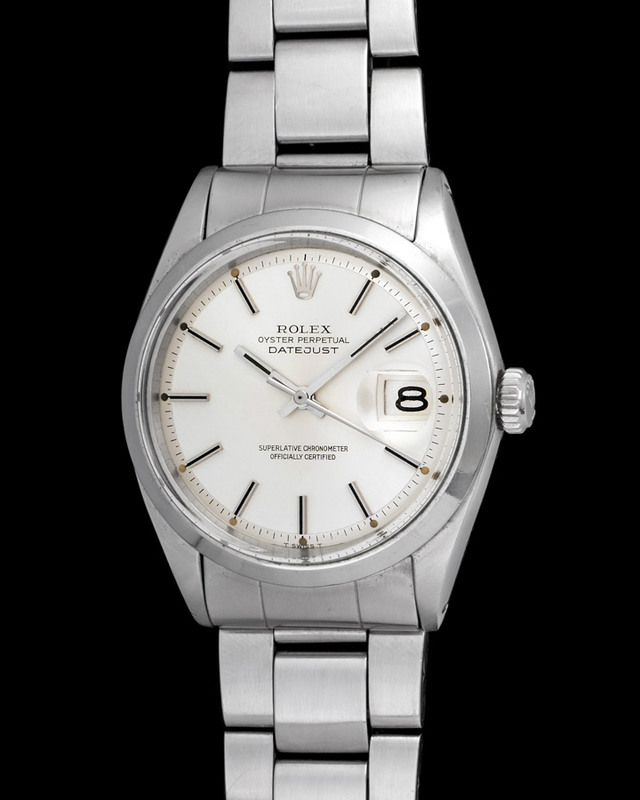 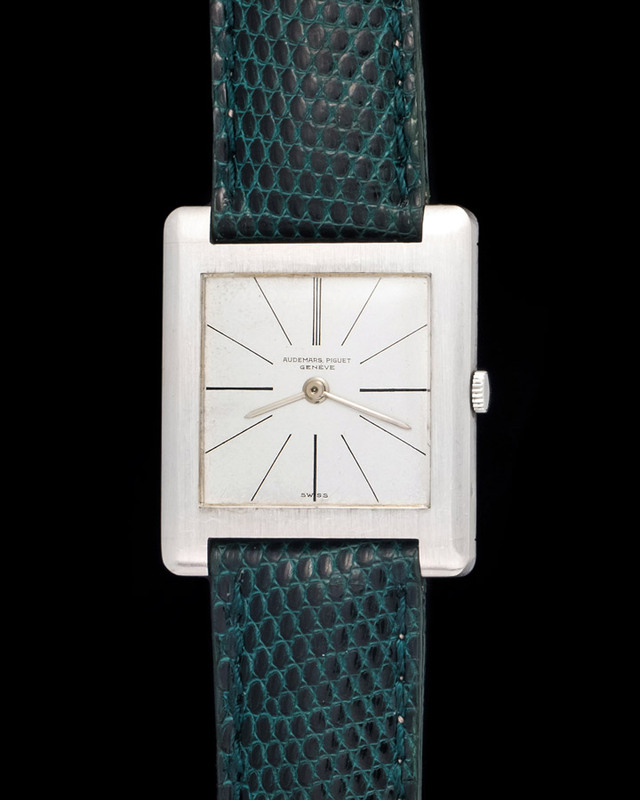 Cased in stainless steel this watch measures 34mm and was manufactured during the 1950’s. 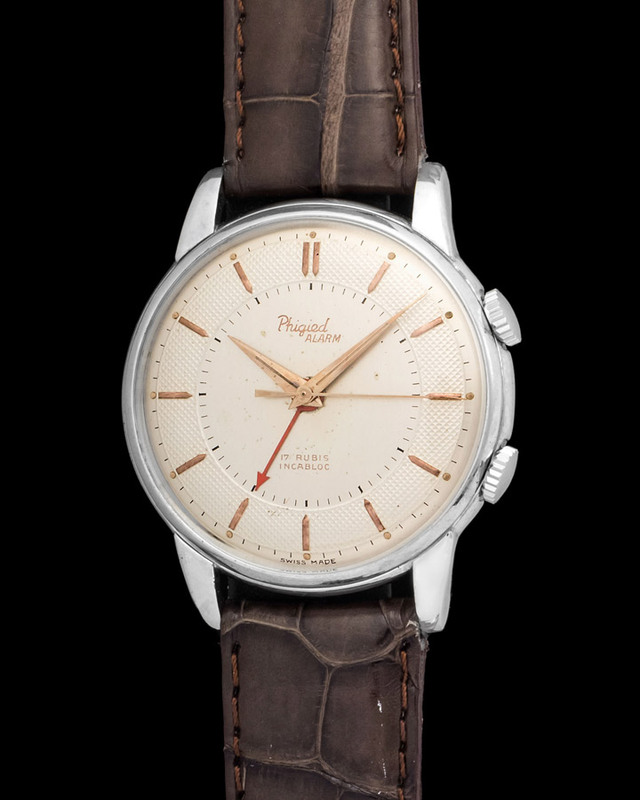 Phigied watches are rare as the company focused their manufacture around clocks. 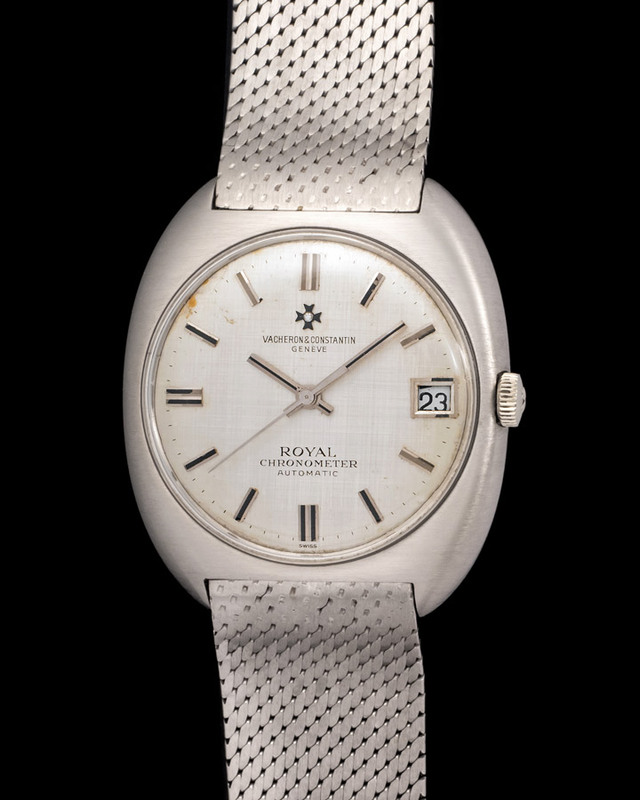 Here we have a stainless steel alarm capable watch most probably manufactured in the 1960s. 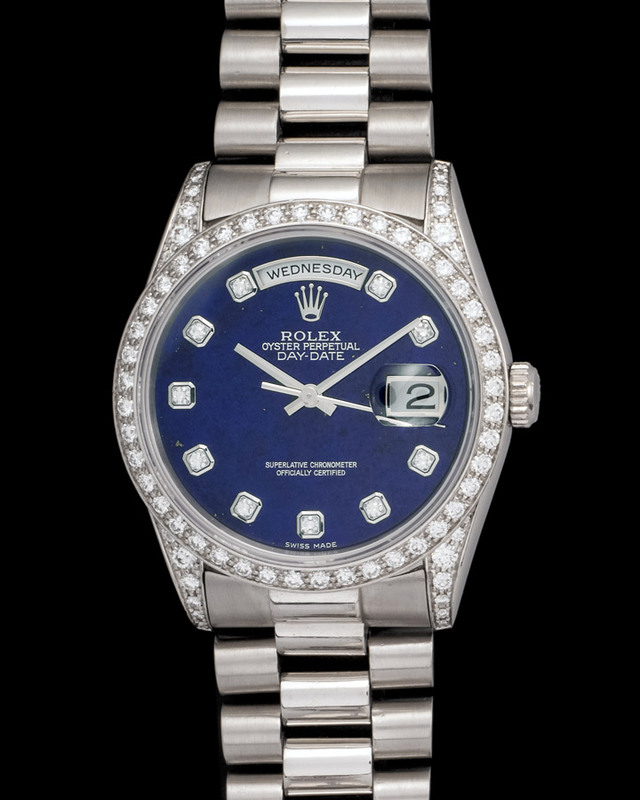 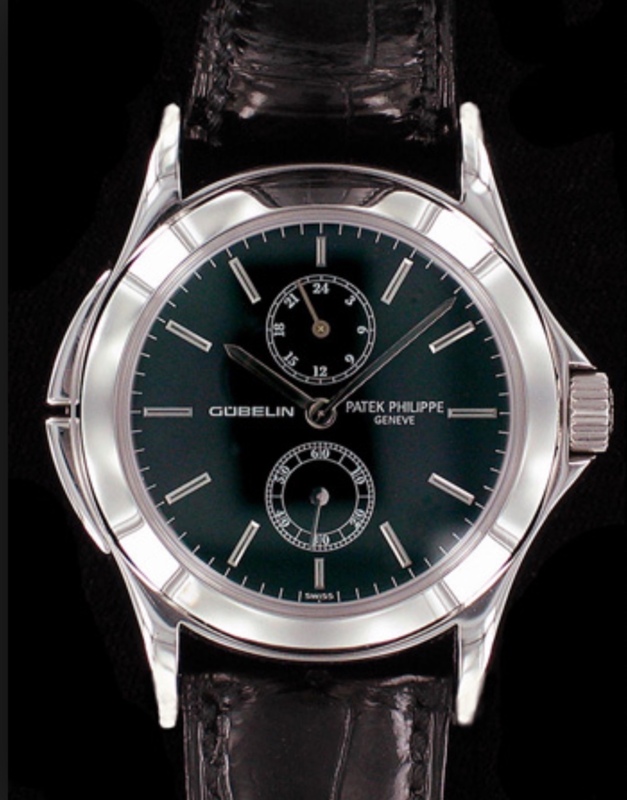 A striking feature about this watch is its two-toned guilloche dial and its mint condition 38mm stainless steel case. 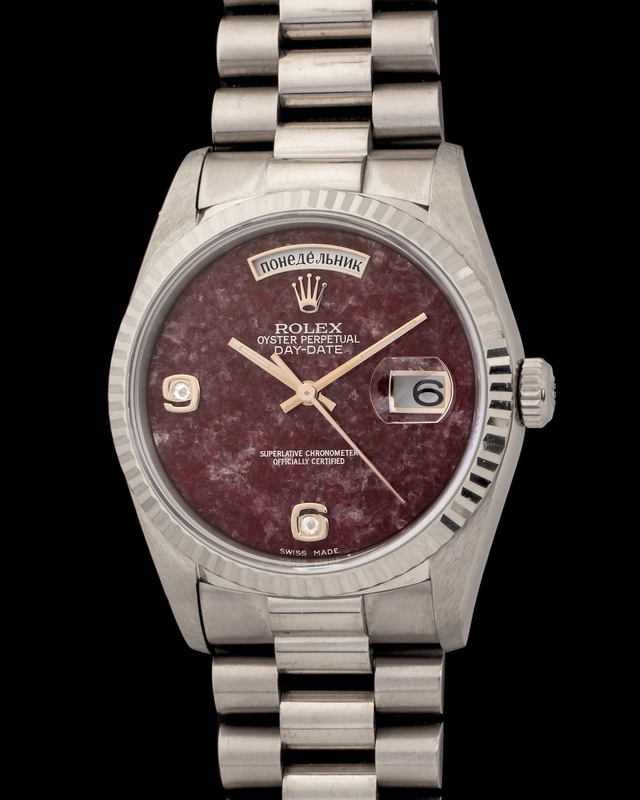 Powered by a manually wound 17 rubies movement. 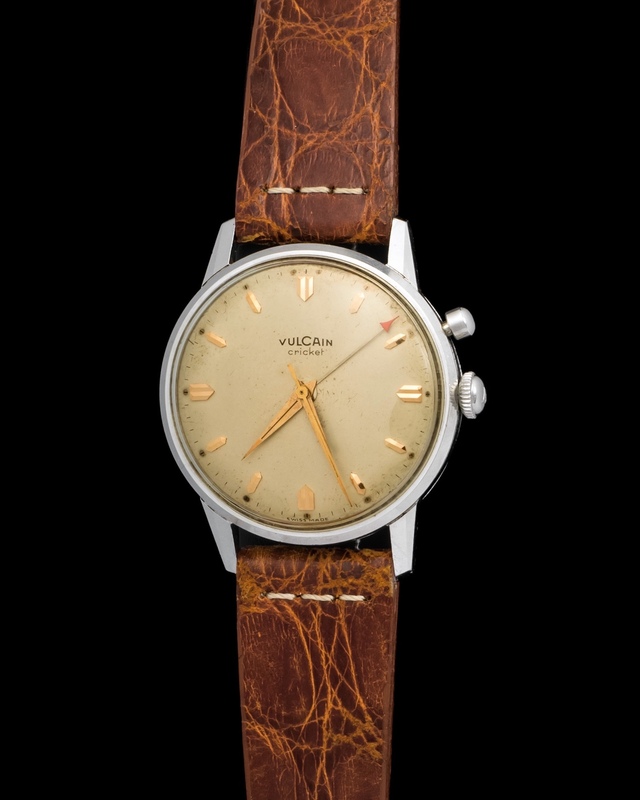 The Vulcain Cricket Alarm is one of the most iconic watches ever made as it allowed the wearer to set an alarm. 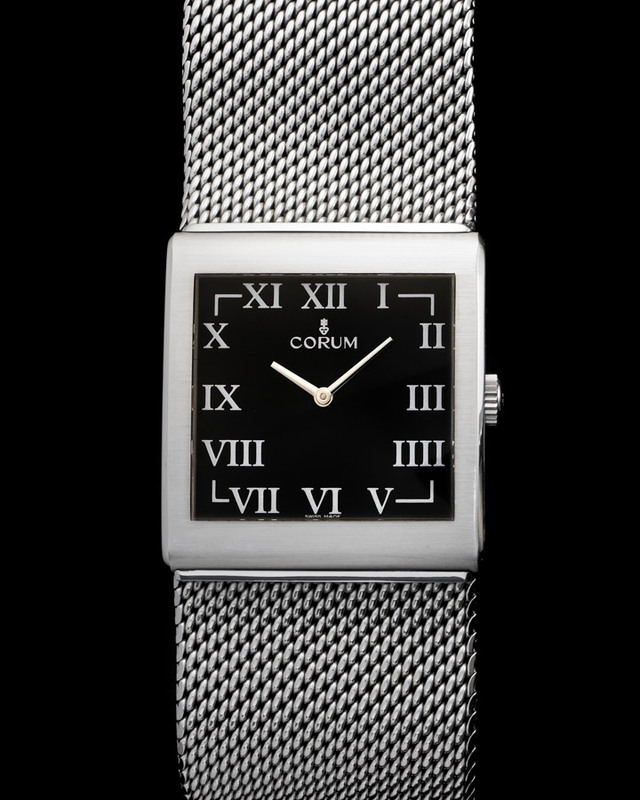 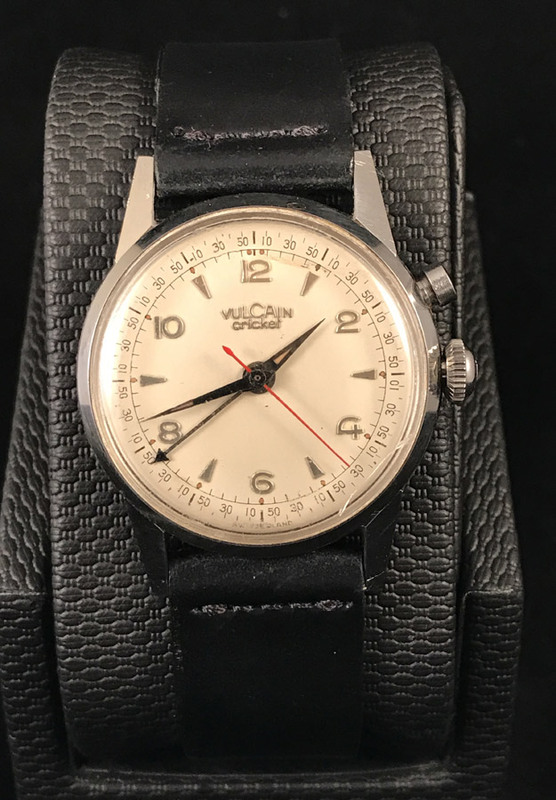 This feature was not entirely new to the industry but Vulcain was the first manufacturer to be able to incorporate the feature in a manual wound wristwatch. 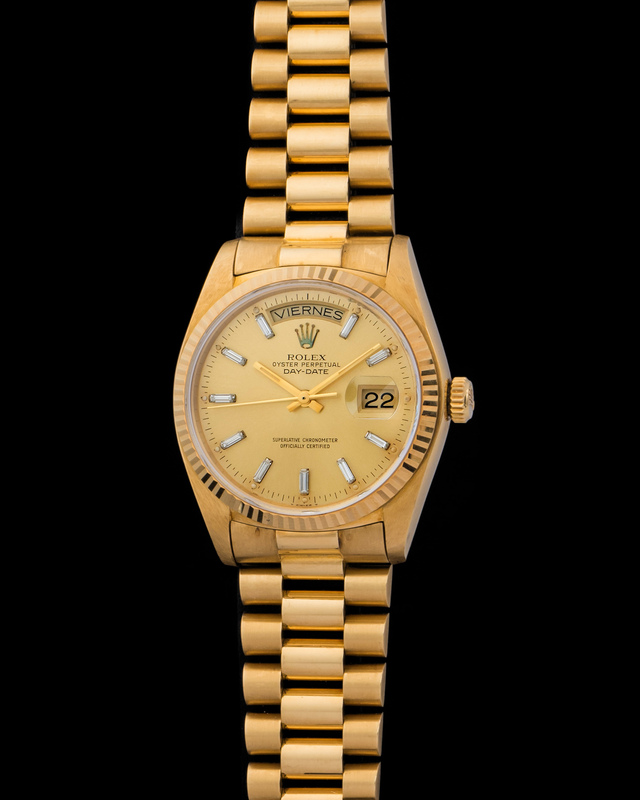 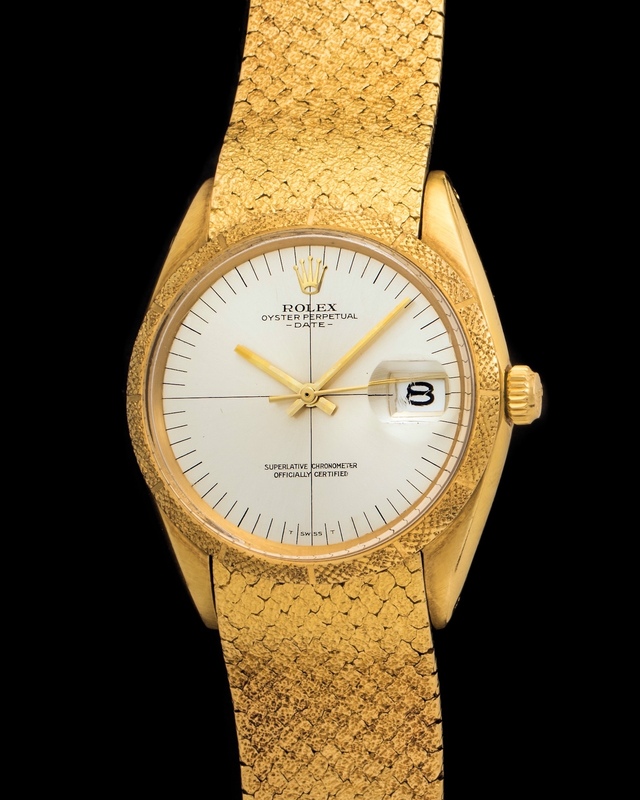 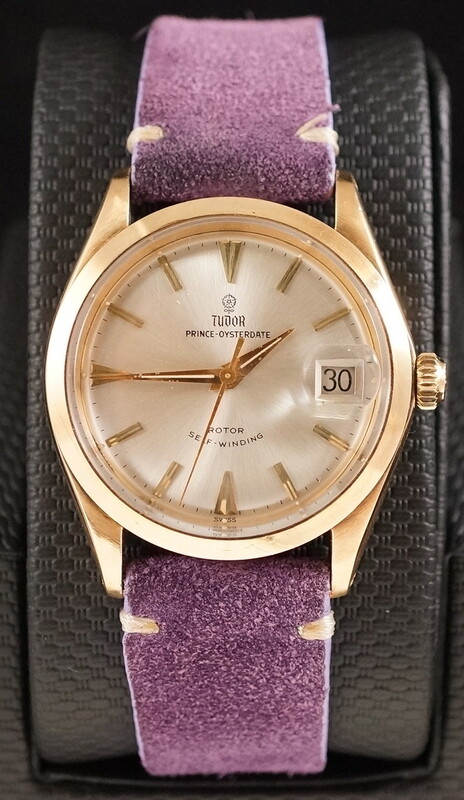 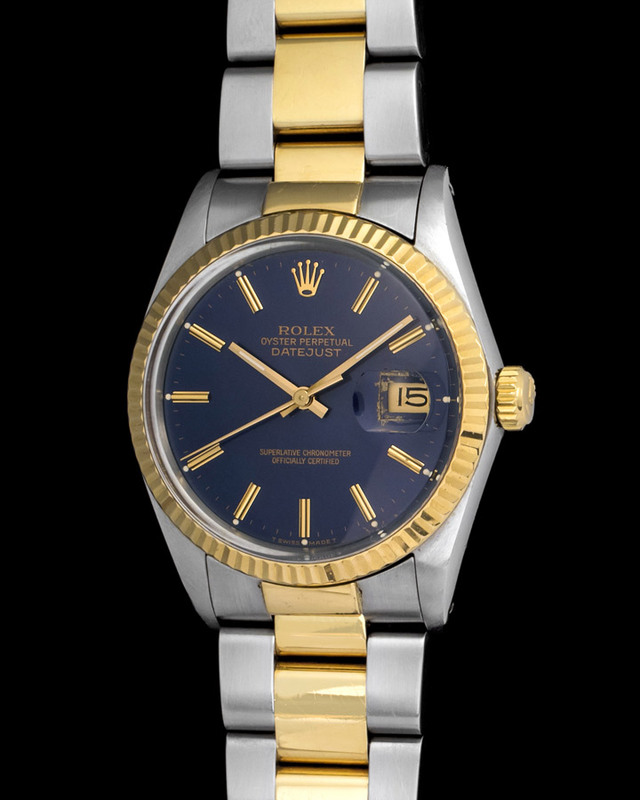 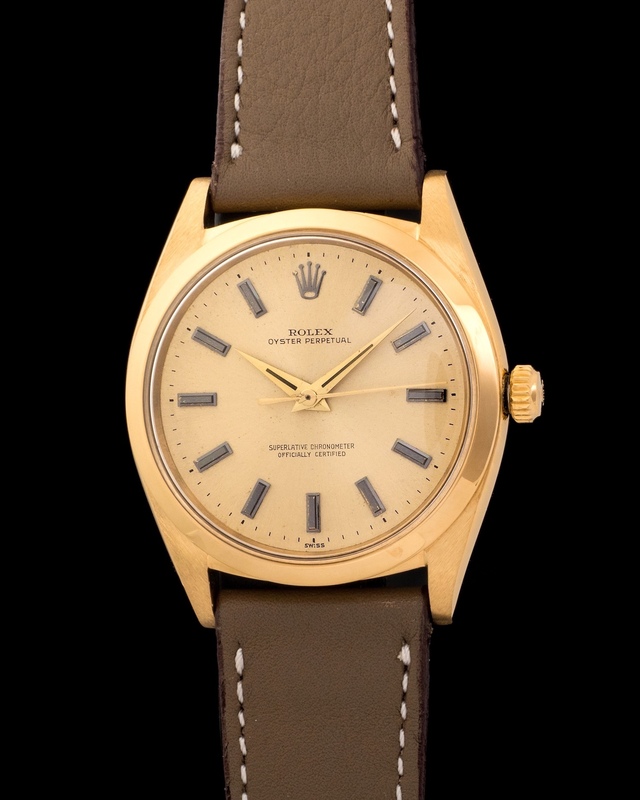 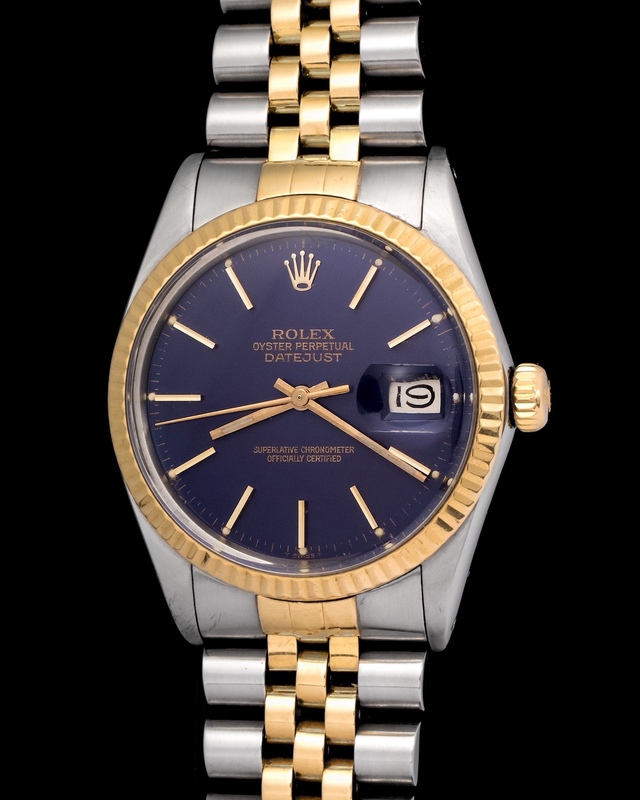 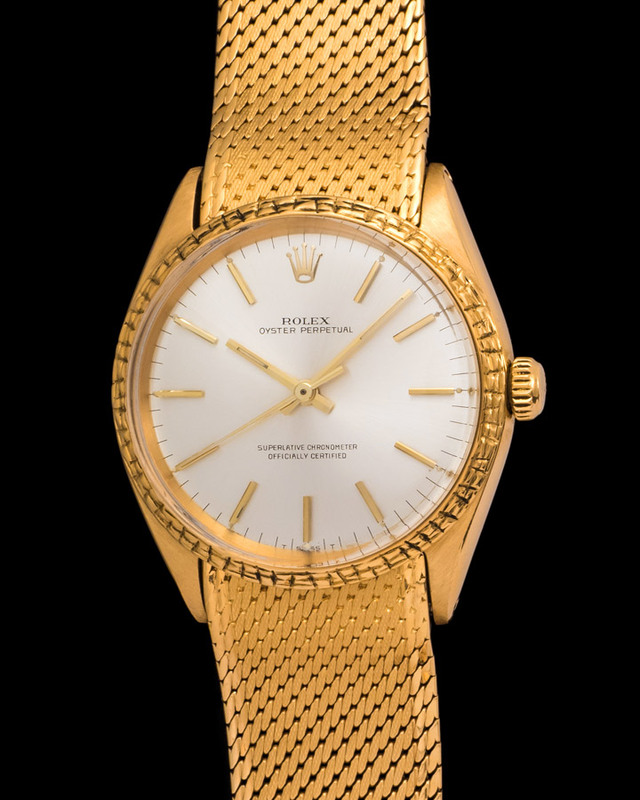 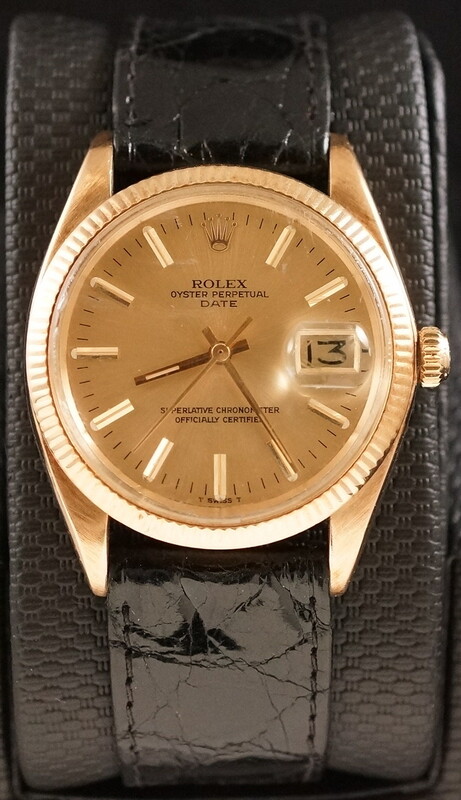 Offering a mint condition rare Tudor Oysterdate in 18K yellow gold. 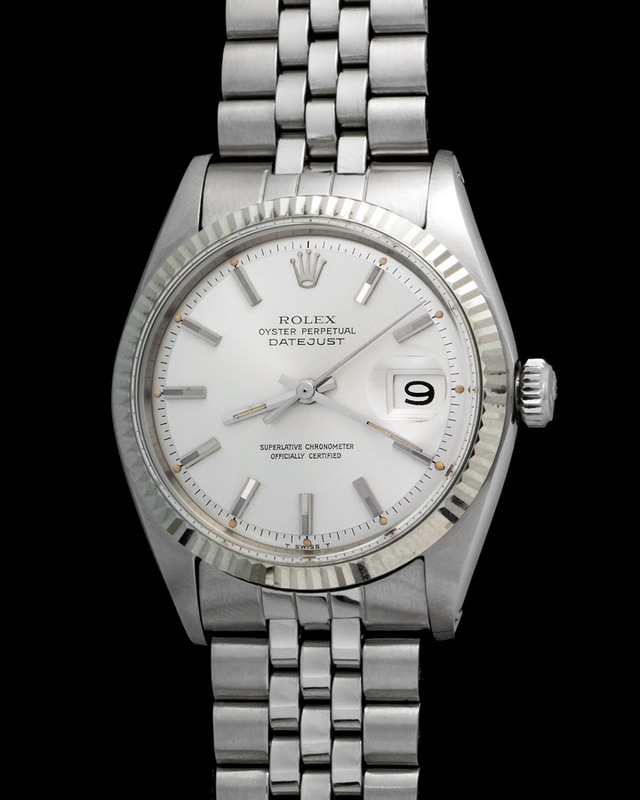 The watch has no scratches and every component is original. 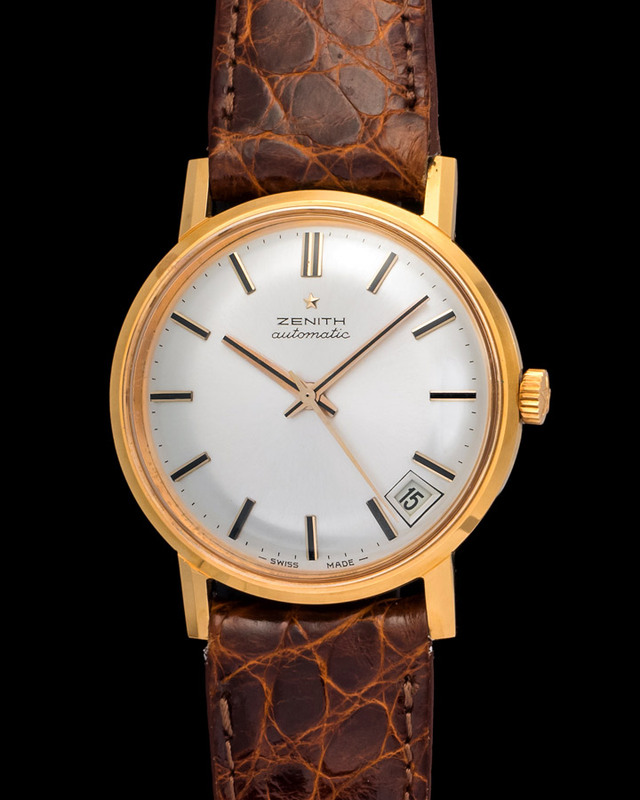 Tudor produced very limited quantities of 18K yellow gold watches. 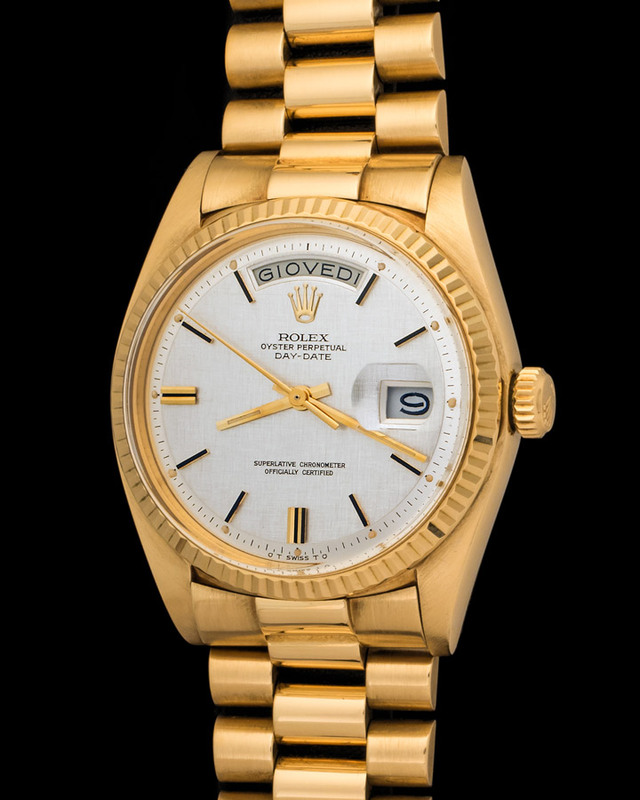 In our 30 years we have only seen a handful. 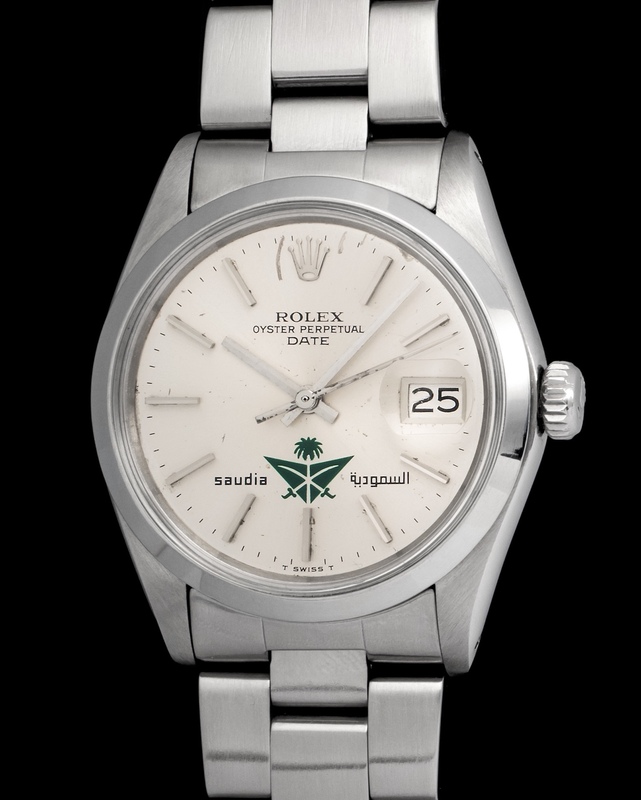 Another valuable aspect about this watch is its Tudor rose printed on the dial. 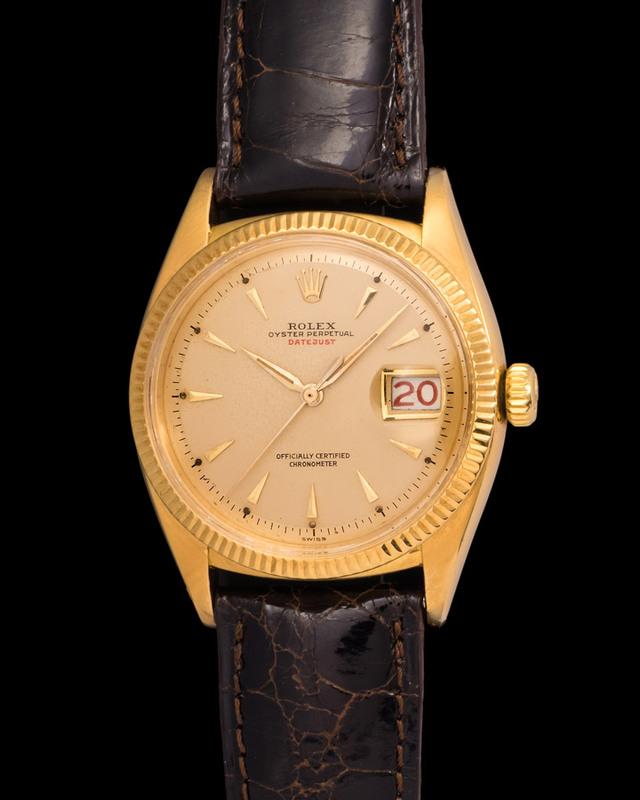 Not many of these watches have been available in the past. 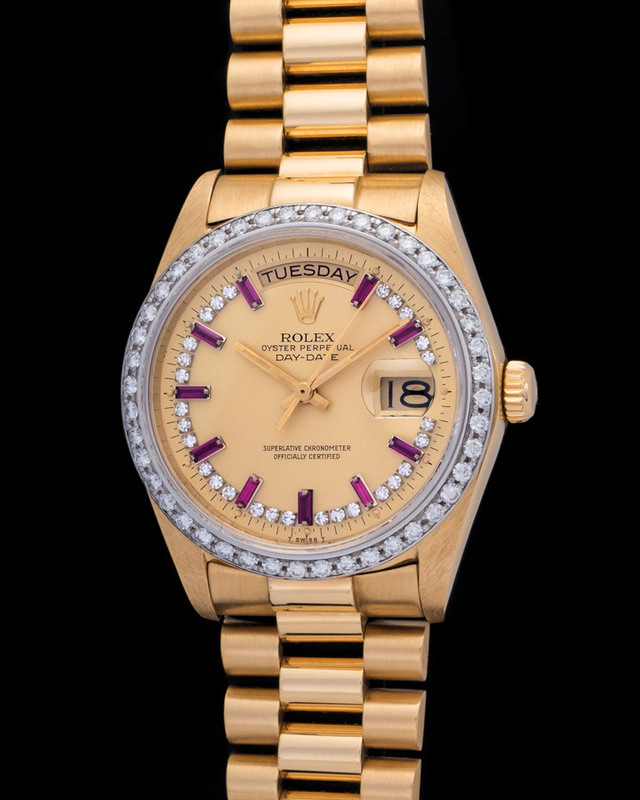 The Oysterdate in 18K yellow gold is a serious watch.